The Department of Housing is to issue guidelines for local authorities about how to deal with Airbnb properties in the wake of a ruling by An Bord Pleanála yesterday. An Bord Pleanála upheld a ruling that an apartment owner in Temple Bar in Dublin city centre needs to apply for planning permission if they want to continue to rent it out for short-term holiday lets. Local residents objected to Dublin City Council, which ruled that it was a change of use which required planning permission. Minister for Housing Simon Coveney has said he thought the judgement was the right one and that his department would now provide clarity for local authorities, owners and concerned residents about how these properties should be treated. He said he believed Airbnb had a role in the broader property market but that there needed to be clarity about what the role is and said the best way to do that was through the planning system. There was a difference, he said, between properties that were being rented out for several weeks or months of the year versus those that were being sold where with an advertised rental income from Airbnb. 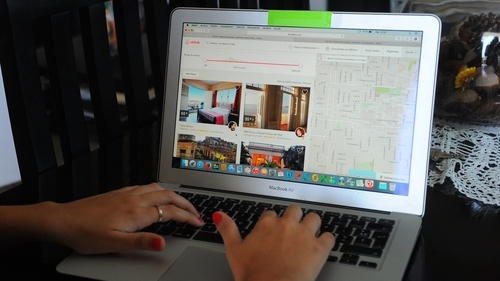 There has been a call for regulation on Airbnb lettings following the ruling. A lecturer in Housing and Urban Economics at the Dublin Institute of Technology said the ruling puts some pressure on Dublin City Council. Dr Lorcan Sirr said that the council does not really have a policy about Airbnb usage in the city, however there are a significant number of properties being let in Dublin. "The last time I looked… during the summer, there were over 3,300 apartments in the middle of the city that were available on Airbnb. In the middle of a housing crisis that's a significant number and arguably a driver of rents." He said the change of use from an apartment to a short term let is kind "of a grey area" and there is no regulation around it. The council’s Deputy Planning Officer said that yesterday’s decision by An Bord Pleanála does not set a precedent. Speaking on RTÉ’s Morning Ireland, Mary Conway said that each Section 5 application is site specific so "one ruling does not necessarily apply across the board". Ms Conway said if a property is being let on a short term basis continually, then the council would consider that to be a material change of use. She said the council is preparing a written submission to the Department of Housing asking it to update planning legislation to clearly differentiate between use of apartments as a residential home and a short term holiday let. Ms Conway said the council will investigate any case that is brought to its attention, but added it is not actively looking for cases. Dr Sirr said that introducing some regulations would prevent a lot of problems in the future.